"It's the concept of minimalism-meets-modern romance that inspired this Calgary Wedding Editorial. A classic color palette of blush, black and white is blended with contemporary décor to create an interesting, yet simple design - as dynamic as it is soft. With a glimpse into the modern aesthetic, the invitation suite features frosted translucent paper with white scripting for an inventive touch to the traditional paper piece. Beautiful heels and a statement bauble are the most show-stopping elements to the bride's look, who opts for a more simple approach to bridal style. To achieve texture and dimension in the floral arrangements - including the bouquet - designers choose quicksand roses, ranunculus and assorted greenery to provide a fresh, organic touch. Sleek modern candle holders and contemporary tables are just a few of the pieces included in this black and white venue. The bride dons a two-piece wedding gown that, upon first glance, looks simple but actually features incredible detailing on the bodice. And the seamless skirt adds the perfect balance. An industrial-style table with hairpin legs is dressed with romance in mind. A long table runner drips onto the floor. 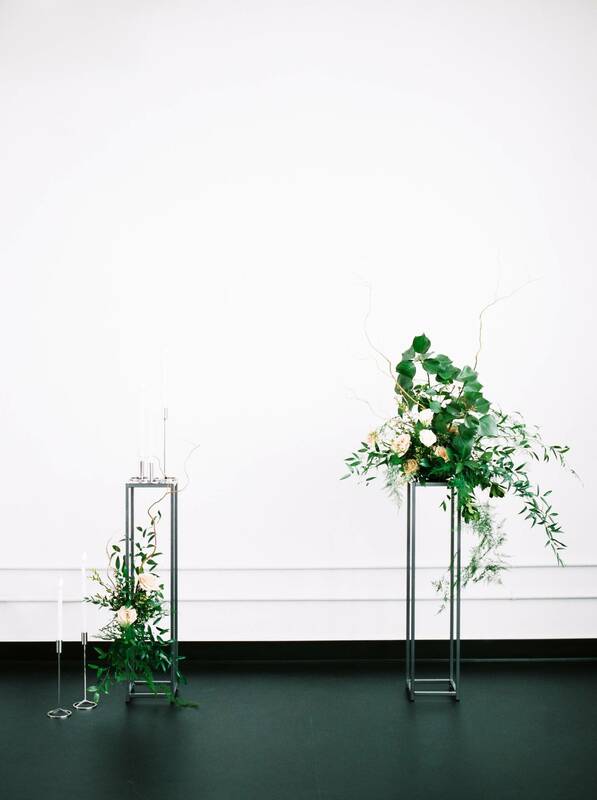 Verdant floral arrangements with tall curly willow infuse texture. Copper mugs, white china and black flatware add depth. And the soft glow of candlelight streams through clear glassware to tie it all together. The bride makes a style change to show how one look can be transformed. Her loose locks are now pinned in a low updo for a chic way to dress up her bridal look." Such a lovely, light and crisp look to this session, perfect for a spring wedding! Oh my goodness! 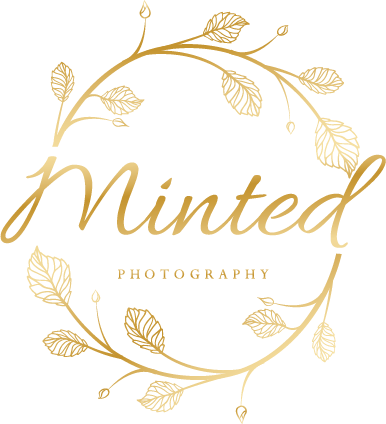 What a top notch group of Edmonton wedding vendors! Gorrrrrgeous! Beautiful, I love the simplicity of it all, so soft and elegant! Wow this stunning! Loving the romantic, minimalist vibes! Seriously amazing. I love your work! You are too sweet! Thank you so much Jenny!